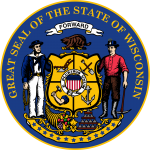 The Wisconsin living will form, ‘advance directive’, is created in accordance with US Statutes §§154.01 to 154.29 allowing patients to legally choose the medical health care treatment they want to receive should they become so ill that they are unable to make these choices. This living will document requires two witnesses to make it legally acceptable. The document is invalid if the principal is found to be pregnant. The principal must enter their name. 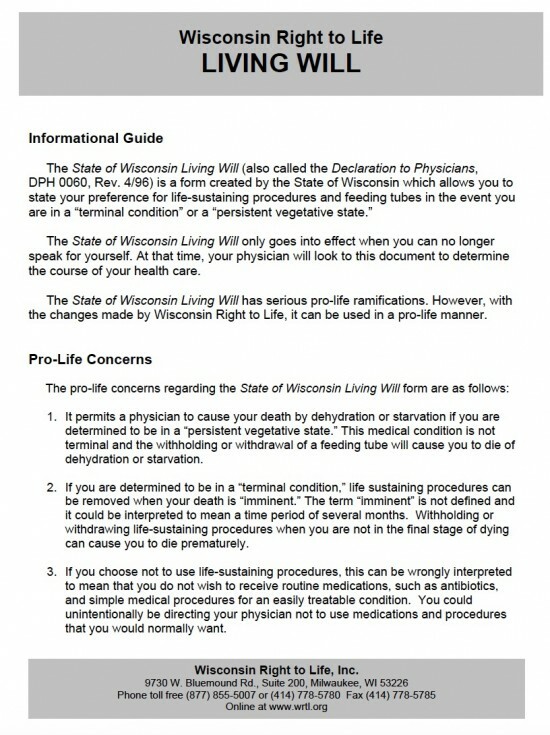 The principal must indicate that they do not want life sustaining conditions and indicate their wishes with regards to the use of feeding tubes in the event of them suffering a terminal condition. Not to use feeding tubes. The principal must indicate their wishes regarding life sustaining treatment in the event of them becoming in a persistent vegetative state. To receive life sustaining treatment. Not to receive life sustaining treatment. The details of the principal and witnesses must be entered. The principal may enter the names and details of any persons who they give a copy of the document to.